Bath & Body Works has a new coupon! 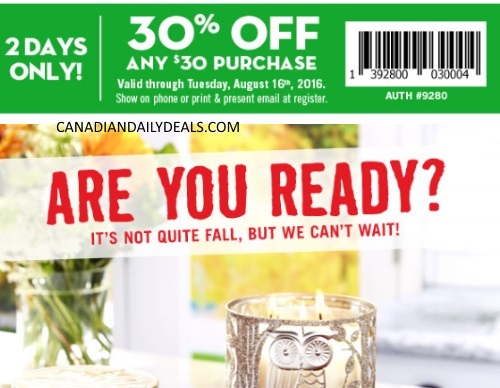 Save 30% off when you spend $30 or more with the coupon below. Their fall candles are back and you can get 2 of the large 3-wick candles for $28.50 on sale starting today! Coupon is valid until Tuesday, August 16, 2016.